Eldar Craftworlds - Post your Craftworld background. Use this thread to post your own Craftworld background. You can also read the article Designing Your Own Craftworld to guide you in writing your background. The Eldar race is in termoul all over, the Craftworlds are going their seperate ways as the evil spreads through our beloved race... It is almost impossible to imagine, but many of our Kin have resigned to their nature and forgone the true path; thus they must be erradicated as any other "Mon-Kiegh" before they establish themselves and their ways. It is unfortunate that some of our own Kin have succumbed to their Darker Nature; and even though some are actually close brethren to me and our clan, I Saim-Lucster will ensure that all Mon-Kiegh are elliminated so that the true path can once again be followed and Eldar can once again rule supreme in the multiverse. Son, your thoughts trouble me, and although you are the newly elected Clan Chief, you must be careful to curb your emotions or you too may succumb to the Darker Nature of our Race. Remember that I and the Farseer's have forcast this "Fall" from grace for some time now, and that you were selected to hold the Clan together through this time.... Your primary goal must always be to family, and then to race, and finally to others things with your emotions coming last. If you let your emotions fool you, then you will be no better than your brother who left the family to follow his Dark Nature. And you too will fall from grace and become not an outcast; but one of the "Hunted Dark Ones". Remeber son that I, Saim-Lir, have sworn to hunt all Mon-Keigh, and all Eldar that fall from grace, and although I love you... you are not above reproach. Saim-Hann was one of the first Craftworlds to depart before "The Fall". They always kept and still keep close ties to many of the Exodite worlds as well as those afiliated with "The Laughing God"; but Clan Saim-Lucster had ties that run very deep with these other Eldar. Clan Saim-Lucster is also refered to as the "Holders of the Secrets" as they have taken it upon themselves to shroud some of the Eldar past even going so far as to use all means to errase specific memories from Eldar they encounter. Thus, Saim-Lucster and Saim-Lir begin their quest to eliminate all Eldar that have fallen to the Path of Darkness. To systematically wipe them out as all mon-kiegh deserve. To show no mercer in their task, to take no repreave, and to only set their current family as a priority above this task. They may be seen as barbaric by some; but "The Holders of the Secrets" feel that all mon-kiegh must be quelled, and those that have succumb to the Path of Darkness have also become mon-kiegh. For the Wildriders are coming on their flaming Jetbikes, and Death follows closely behind them. Some of the things that Clan Saim-Lucster considers when assembling their Host is the relevance of each unit to the entended tactica (Shooty – Close Combat – Versatility), the Saim-Hann theme associated with Speed, strike and then fade away, and recklessness – Also known as “Rapier” or “Surgical Scalpel”. Thus the units are placed in an order of preferred usage. Farseer on Jetbike, with/without Jetbike Warlocks. 3. Avatar, Farseer Ulthan, Prince Yrial, Maughan-Ra, and Karrandas. 2. Rangers, Pathfinders, Guardian Squads, Dire Avengers, and Wraithguard. 1. Shining Spears, Vypers, Swooping Hawks, and Warp Spiders. 2. Warwalkers, Wraithlords, Dark Reapers, and Support Batteries. • 1 HQ must be off the ground. • Every army list should contain Jetbikes (of some form) and/or Vypers. • The Troop and Fast Attack slots (Combined #) should always be equal to or greater in number than the Elite and Heavy Support slots (combined #). • If using a "Ground" unit, then give it a means to become "Airborn". • Units should be chosen for their Precision Strike abilties when possible. • It is not common that units from position 2-3 would ever outnumber those from position 1 in the FOC guide. my craftworld is called Beltac-Asur, (meaning the favored of asuryan), their philosophy is that, according to a prophecy set down by Farseer Eltorac Asurkin, the only way for the eldar race to survive, is to resurrect Asuryan so he can slay slaanesh; and when the time comes, the eldar must prepare for a final war against Chaos. And so the secret Beltac-Asur craftworld circles the eye of terror, waiting for the day that Asuryan returns to battle slaanesh. Beltac-Asur was the last craftworld to take off after the fall. they stayed behind to collect the last rain of the eldar homeworld, the final tears of asuryan. they hope that these tears may help to resurrect the phoenix king. i also have a bio on one of the great heroes of Beltac-Asur, Phoenix Lord Kendrac Asurkin, brother of farseer Eltorac Asurkin. Kendrac Asurkin was born in the aftermath of the First Chaos War on the tattered craftworld of Beltac-Asur. At the age of 150 (a mere teenager by eldar standards) he joined a temple of Dire Avengers where he soon exceeded the ranks of his bretheren. When he turned 200 (the dawn of adulthood) the Second Chaos War began. He and the rest of the Dire Avengers were ordered to stay on the craftworld to wipe out whatever forces of chaos made it through the assault. He was standing on a transport platform waiting with baited breath for the chaos to arrive when he saw a vision from his brother's mind. The chaos force coming from the eye of terror was a decoy, another chaos force had been assembling on the moons of Cadia, waiting for the order to attack. He tried to tell his commander about it, but the autarch wouldn't listen to an aspect warrior, albeit one with extraordinary capabilities. So Kendrac gathered a small strike force of his fellow Dire Avengers and took what he could from the armory in a courageous attempt to hold off the chaos invaders. His 100 men turned out to be a force to be reckoned with and Kendrac danced with a fury of blades, earning him the nickname Bahz-Turoc (meaning whirling blade). Nonetheless, his small force took enourmous casualties in driving off the invaders, even Kendrak himself died. His nine remaining troops wept for him, but the greatest tears of all were shed by the Asuryan's eye, the only remaining piece of him. The tears of Asuryan availed to resurrect Kendrac, who later went on to found the temple of the Whirling Blades Aspect Warriors. as for the army of beltac asur; they like to get up close and personal, using assault shock troopers to penetrate enemy lines. because of this, howling banshees and striking scorpions can be taken as troops choices rather than elites choices. If the Eldar race is to survive; we, the favored of Asuryan must reasurrect the phoenix king, that he may slay slaanesh and bring a new age of creation. Such is the Creed of Beltac-Asur. Modified 5/10. Added in new images. The eldar of Dan-Wen do not believe in the re-building of an eldar empire but they do not want the eldar race to vanish into non-existence either. They have made themselves the protector of eldar maiden worlds and some exodite worlds. The main area of their protection is the far galactic north-east in the area known bye the alien monkeigh as the ultima segmentum. They have fought many different alien creatures to keep them away from the worlds they protect or force them off if needed. They have currently deployed forces to the exodite world of Isha'zuun to fight off a splinter fleet of Tyranids. Dan-Wen likes to use it's superior technology and speed against it's enemies. They will use mostly bikes, vehicles, warp gates, and titans when they can. This does not mean they will not use troops if they have to. They have many aspect temples to call upon for help as well as a well trained volunteer army and navy. On occasion they will have exodite Dragon Knights joining their forces when trying to defend their home world. Dan-Wen has most of the aspect temples known to eldar craftworlds. Dire Avengers being the predominant aspect and banshees being the least. But it is known for it's rare vehicle aspects and it's unique close combat aspect known as The Bloody Hands of Khaine. Rare on the craftworlds is the Aspect known as the Hammers of Vaul. 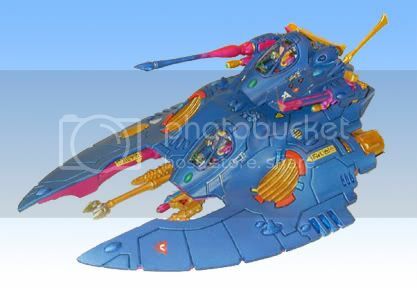 An aspect dedicated to the use of eldar Vehicles. Due to it's high technology, Dan-Wen has a few temples to this aspect. The aspects armor is golden with it's power glove being crimson. They also tend to be bare headed but this is not always the case. run, run as fast as u can. The Athag-Mor (meaning face of death) were founded long after the collapse of the eldar race and those who know of them; including the Athag-Mor themselves, do not truly believe them to be a craftworld; they are in many ways more similar to corsairs. Their huge wraithbone construct is merely a base of operations, useful for getting large amounts of eldar armour and infantry from place to place in order to launch raids or counter some threat and is heavily cloaked even from other eldar. In truth the Athag-Mor are really a small organisation of thirteen eldar farseers and warlords all bound together in duty through knowledge granted to them by a single book, stolen from a place believed impenetrable. The Black Library. The book was bought to the farseers of Athag-Mor by a lone ranger who shortly after turned mad either from the extended period spent in the unstable webway or from the contents of the book itself. The closest translation of the books title is " the book of a thousand sorrows yet to come" and as the farseers of the Athag-Mor discovered the manuscript contained not only prophecies concerning the Eldar but of the fate galaxy itself. Henceforth the Athag-Mor are bound by destiny to prevent as many of these prophecies from coming into being as possible. Should they fail existence itself will be threatened. As is to be expected the Athag-Mor rely on total secrecy. Should information regarding their book of prophecy fall into the hands of a corsair or even another craftworld they would be threatened and potentially destroyed by attempts to steal such a valuable item. Henceforth only a few of Ulthwe's farseers even suspect their existence and any member of the organisation attempt to leave they would be quickly executed. Otherwise it is unwise to consider them particularly friendly or hostile to any race or group in the galaxy. Thanks for reading all. I have enjoyed sharing this. My Eldar are Exodite (Naylte in their own tongue) who live on a Maiden World called Hlienes which they left the Eldar Home worlds pre-fall for similar reasons to the other Exodite cultures. I played a generic Eldar army for years, was Ulthwe (along with everyone else...) when Craftworld came out and since 4th I’ve been working up these guys. It’s pretty clear my inspiration is “Wood Eldar” but I liked the Dire Avenger Exarch conversion I did when I was bored one day and just ran with it. The Eldar who settled this world were part of a sect who unusually favoured Kournos from the Pantheon over the other Eldar Gods and have developed a culture based around hunting and natural law – with themselves firmly at the top of the chain. While they abandoned what they saw as the fallen practices of their brothers and sisters (whom they refer to as éneer-nyt, meaning The Miserable) they did not abandon the technological achievements nor stop developing such when they settled their new world. The core belief of the Naylte is that while the world spirit nourishes all life on Hlienes it does so not as a gift to the Eldar, but because they have mastered their planet. So while the world spirit causes the trees to grow and the rivers to run, the Naylte shape the forests and coastlines turning raw nature to their design. The Naylte live in great cities that are built to harness the best of their surroundings; the Canopy Kingdom of Preen for example is built into the tree-tops of the great forests that spans the planets main continent, while Los is a city grown from coral that floats around the worlds oceans following the currents. As followers of Kournos the imagery and tradition of The Hunt is very important to the Naylte thus they favour a fighting style that favours this convention regarding stealth and swiftness key attributes over brute force. While the use anti-gravity technology and advanced weaponry, they also will happily ride into battle on beasts; furthermore as reverence to Lord of the Harvest instead of Bonesingers of other Eldar colonies they have Branchsingers who craft artifacts out of the natural materials that are found on Hlienes. As followers of the natural world they change with the seasons; in spring and summer they are a lighter people but their mood changes as the days grow colder and they are at their harshest in the deep winters. Though they chose to keep themselves to themselves mostly and do little to interact with the other branches of the Eldar family they have learned the ways of different Aspects as various warriors have visited them over the long years, and also are aware of (and known to) the Harlequins, the Webway and the Dark Eldar. Their main sources of conflict come from the Tau and the Imperial Guard who are active in nearby star systems and see Hlienes as a bounty of natural resources, Sisters of Battle who come to purge the Eldar Witches, and the Orks because they often turn up to fight everyone else. The background I work to limits my unit choice a little. The core of the force is Dire Avengers and Guardians and for support I lean heavily towards Striking Scorpions, Rangers, War Walkers, and Vypers etc while less on “bulky” units like Fire Prisms, Dark Reapers, and Support Platforms etc. 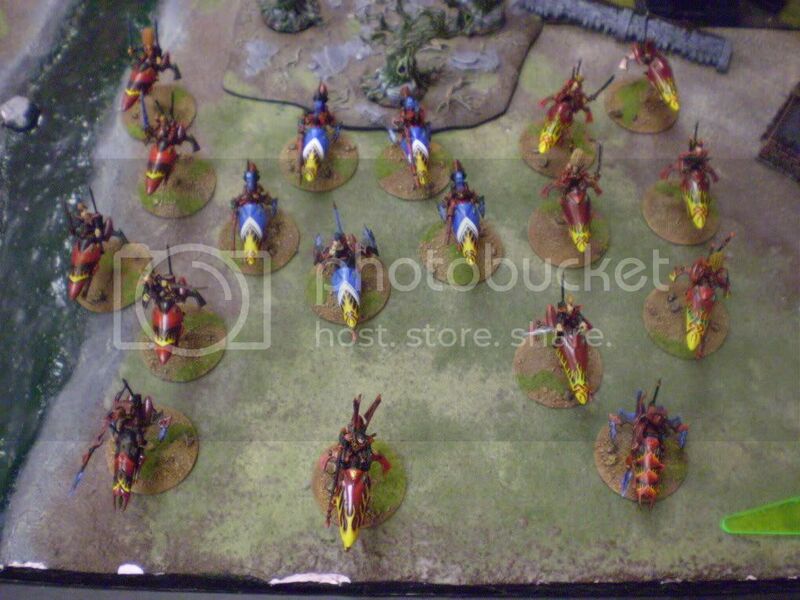 I tend not to use Jetbikes, but do have several models converted up from Wood Elf Hawk Riders that can satisfy as Jetbikes / Shining Spears if the need requires it. I made a concession going into 5th that I needed to start using more Fire Dragons given the mech on the table and so I’ve justified that to my storyline but giving them a different paint scheme and considering them allies from a neighbouring city based in the mountains of the region surrounding the forest setting my main force is from. Likewise my version of Howling Banshees are “fluffed” as coming from the coastal cities so I tend to only use 1 unit of each of these max in a list. Also, partly to fit in with the overall aesthetic and because there wasn’t a model for it at the time, my Wave Serpents are all Dark Eldar Raiders with slight conversions to weapons and painted in greens and browns. My biggest divergence from Craftworld Eldar is probably my Exodites take on Wraithguard/Lords. Running with the Branchsinger idea I use converted Treemen for my Lords, Treekin for my Wraithguard (though I don’t field these as standard and I haven’t finished painting them yet anyway), but I’ve taken this a step further and use Dryads as Storm Guardians reasoning that the Exodites have extended their mastery over the world spirit to being able to create animated constructs to assist them in battle and it neatly side steps the problem of losing vast numbers of a small community in battle while still retaining a viable civilisation. I tend not to use Phoenix Lords at all (with the exception of Karandras as he fits the style), Eldrad or Harlequinns as they aren’t really right for the idea. I do use a “counts as” Prince Yriel, but in my army he’s called El-ahrairah. My home table is set up around very dense and heavy forest, hills and area terrain which though lacking in high LoS blocking makes for very close-fought games as there is a lot of cover and I can take advantage of my armies strengths in that set up (although my regular opponents spam flamers on me – but hey if I’m gonna live in a forest fire’s gonna be an issue ). So that’s my long-winded explanation of what I’m up to, and a general Hello from me, cheers and thanks for taking the time if you got this far – bonus points if you clicked where I stole all the names from! Short Description: The last surviving members of the maiden word was belonging to bieltann. Long Description: Details posted else ware. During the Fall Craftworld Myren'shal was fleeing but the cosmic blast sent it tumbling into the warp and an army of daemons invaded through a warp portal produced as a result. A young Eldar male called Shim'Idel accidentally awoke the Avatar in this time, which dueled a Keeper of Secrets over the craftworld. The daemon was too powerful and was about to defeat the Avatar, when Shim'Idel picked up one of the Avatar's severed fingers which formed into a spear. Shim'Idel provided enough of a distraction for the Avatar to destroy the daemon, but at the cost of his own life. The Avatar used a portion of its power to resurect the Infinity Circuit and Shim'Idel, who became the first Supreme Autarch. Myren'Shal purged the daemons within it and entered realspace, making communications with the nearby craftworld Biel-Tan. Biel-Tan helped to reconstruct much of the craftworld and introduced Aspect Shrines and the Eldar Paths. The most prominent Farseer of Myren'Shal, Orlithos Everflame, then had a vision from Khaine. It commanded the Eldar to find his sword, which Slaanesh had destroyed during their battle. If the Eldar can reforge Khaine's sword, and then merge the Avatars, the Eldar of Craftworld Myren'Shal believe that Khaine shall be reborn and slay the dark gods. Myren'Shal's Scheme is loosely tied to Biel-Tan, but tend to have darker tones of white and green on their armour (including Aspect Warriors). Sprirt Stones are red. Aspect Warriors have colours associated with them which they have in their hair or on tabards (Red for Dire Avengers, Dark Blue for Reapers etc.). Supreme Autarch Shim'Idel is represented by Yriel and his rules. The Spear of Twilight becomes Khaine's Wrath representing the power the weapon holds, with the curse becoming Khaine's ressurection wearing off. The Eye of Wrath is an explosion of flames caused by focusing Khaine's power, but requires time to recover. Orlithos Everflame is represented by Eldrad, and wields the Staff of Flames, an artifact discovered in the Avatar's Chamber. His psychic powers are enhanced far beyond a seer of his age. 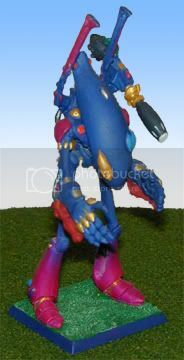 The Craftworld features a range of weaponry, but like Biel-Tan the main strength is Aspect Warriors. They do not possess many wraith-constructs as the artisans are preoccupied with reconstruction still. 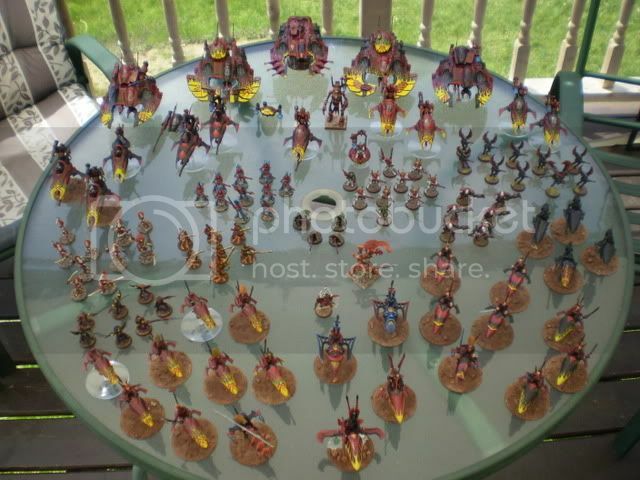 Here is the history of my Eldar's Craftworld. I designed my own color system, so I decided that I had a need of a new name for my new Craftworld. And here it is. I originally posted this story over on Astromonican and received positive feedback. I may have posted this here, but I am unable to find it, and I'm relatively certain that I posted it in the wrong place, anyway. I appreciate anyone who reads it, and is willing to leave any feed back. Pictures to come once I figure out how to use my wife's digital camera. The soft sound of bare feet could be heard as the young warlock quietly made her way down the spacious hall. The wraithbone pillars lined the crystalline walls, offering the only reminder of being separated from the shining sea of stars. Majesty, even beyond the mind of the Eldar, was momentarily ignored as the young warlock quickened her pace. She bit her lower lip as she tried to calm her mind. Her robes softly whipped around her ankles as she walked. Soon, the warlock stopped, finally standing at her destination. She stood before a set of large double doors which had been gracefully crafted to depict a lone moon amid the cold stars. She took a deep breath then quietly knocked on the doors. “Enter,” a soft feminine voice said from within. The young warlock swallowed and slowly pushed the door open. Warmth and comfort quickly washed over her, doing much to relax her agitated mind. Across the large room, a woman sat at a large desk. Tall book shelves lined the walls, giving the study an aura of an ancient library. The owner preferred the archaic theme, as it often calmed the mind during times of meditation. Soft carpet soothed the warlock’s bare feet as she made her way to the center of the room and stopped. “Did you summon me, Farseer?” the young warlock said, standing still with respect. The woman behind the desk smiled and nodded. “Yes, Elynn, I did.” The Farseer stood up and walked around the desk. She was dressed in a simple black gown that simply outlined the lithe form of her Eldar body. “Please, sit.” The Farseer motioned to two large chairs. The young warlock did as she was told and made her way to one of the chairs. Elynn waited until the Farseer was seated before sitting down herself. “Thank you, Farseer Mangwé,” the warlock said, trying to make herself comfortable in her leader’s presence. “It has come to my understanding that you are concerned with some of our records. Mainly in reference to how I came to be here and have risen to Head Farseer.” The young warlock blushed and looked down at her hands. “Yes, mistress,” Elynn said quietly. She felt ashamed, now that she was sitting in the Farseer’s presence, to have felt any doubt, let alone to have expressed it. “Yes, mistress,” the young warlock said, now eager to learn. “Very well,” the Farseer said, smiling. She adjusted herself in her chair. “My name is Saanah Mangwé. I was born and raised as part of Craftworld Ulthwé. Though that was many years ago.” The Farseer’s eyes seemed to glaze over as she looked off into the distant past, to a world and a life that was long taken from her. “As was typical of my people, I had spent a number of years as a Guardian. I felt it was my duty to serve my Craftworld, but I did not enjoy that part of my life. I had witnessed many of my friends’ deaths, and seen, first hand, the many horrors that lurk in the darkest corners of the galaxy. Fortunately, I was given the opportunity to pursue the Witch Path, much like your self.” The Farseer smiled warmly at the young warlock sitting in front of her. Elynn hung on every word as she listened closely. “It was one of the proudest moments of my life, when I was finally recognized as a Warlock of Craftworld Ulthwé. My own sister, Q’sandria, many years older than myself, had been pursuing the Witch Path for quite some time, and had even been personally asked by Eldrad Ulthran to be one of his Protégés. I wanted so much to be like her; to follow in her foot steps. So when I finally achieved the title of Warlock, I truly felt worthy of being her sister. “Not long after, I was assigned to lead a unit of Guardians, due to my previous experience. We had received word that a group of mon-keigh, dedicated to She Who Thirsts, was massing a force far from the Eye of Terror. We were sent to halt their progress. The whole of the Craftworld did not go, but instead sent a small fleet to handle the situation. I was part of that assignment. When we arrived, we were quickly surprised to learn that we weren’t simply dealing with the mon-keigh, but rather, the Space Marine Legion known as the Emperor’s Children. I was sent, along with a unit of our Rangers, to move around the enemy’s open flank. However, the battle quickly turned against us, and the main body of our force was fighting a loosing battle. My own unit was ambushed, and although we had the aid of the Rangers, we were vastly out numbered. My dear kin fought bravely and followed my every command with acute precision. I do not remember much of what happened, I’m afraid. At one point I was struck unconscious. I later came to my senses and found myself in the company of only two of my Guardians and one of the brave Rangers. I came to later learn that it was the remaining Rangers that provided a distraction allowing the one Ranger to drag us to safety. I owe my life to him and what was left of my butchered command.” The Farseer brushed away the moisture from her eyes as she took a deep breath. “The decoy met an ill fate, I’m sad to say. They were eventually caught and by the end, only I and my small group remained. We had lost contact with the main body of our forces. As we made our way back to our own lines, we found nothing but an empty battle field. It was clear that the battle did not go as planned. We were able to surmise that our own forces were pushed back, and did manage to eventually retreat with the remaining survivors. “When I asked how long I had been out, I was told that I had been unconscious for many hours. By the time I came around, the Ranger had been able to scout ahead and learned that our fleet had already left. We could only assume that we were thought to have been killed along with the rest of our group. We had been left behind.” The young warlock stared in disbelief. “How did you survive?” Elynn asked, her eyes wide with confusion. “Just the same as anything else, I suppose,” Farseer Mangwé said, shrugging. “They looked to me for guidance. I relied heavily on the skills of our Ranger. He managed to keep us sheltered and fed, and the two Guardians kept their courage as we managed to defend ourselves from the various dangers of the wild. We stayed clear of the Space Marines, however. We knew we didn’t have a prayer of a chance in any kind of conflict. Our ammunition was low and we had limited resources. We were not about to throw our lives away needlessly. “We were on that planet for many months. We had tried several times to acquire communication equipment from the mon-keigh, but we were unable to lay hold of anything powerful enough to contact the Craftworld. We lost both of the Guardians in our last effort.” Saanah’s voice dropped to a whisper. “We had started to loose hope. There were only two of us left. “Eventually, we were found, by other Eldar Rangers. We were shocked beyond belief, as you might imagine. They had been scouting the planet for various supplies when they found our encampment. They came from Craftworld Ath-Ethonis. Their story was even more bizarre than our own. “Craftworld Ath-Ethonis had answered the call of help from Craftworld Iyanden when they were beset by the Tyranid hive fleet of Behemoth. However, before they were able to reach Iyanden, Ath-Ethonis was attacked by a separate branch of the hive fleet. They were unprepared for the sudden engagement and never made it to the aid of Iyanden. Their Craftworld had taken severe damage and was sent spinning out of control and far off course. The Ath-Ethonis Eldar were left drifting aimlessly with minimal lives left to tend the failing life support. Their Craftworld drifted into a nearby solar system and ended up crashing into a small moon of one of the outer planets. The collision was devastating and managed to knock the small moon from its orbit. In addition, the Craftworld was fused with the small moon, and both drifted aimlessly for many years. “Their fleet was all but destroyed, leaving only small fighters and transport shuttles in working condition. It was by these crafts that the Rangers were able to scout nearby planets, when one came close enough, and search for any supplies or means of communication whereby they might contact one of our other kin’s Craftworlds. It was during such a mission that their Rangers were able to find us.” The young warlock shook her head in wonder as she listened to the Farseer’s tale. “My self and my Ranger companion were taken back to their Craftworld, or what was left of it. It could hardly be called such, for the Eldar living there were barely able to keep the life support working. All communication equipment had been destroyed, and their leadership was minimal. All Eldar of the Witch Path and the Path of the Seer had been killed during the battle years previously, or died shortly after. They were left with the few remaining Exarches to lead them the best they could. When I arrived, they quickly turned to me for guidance. I have to say that I was overwhelmed by the task and felt unworthy of such a role. However, my kin were resolute in their choice with following my direction. “I was very happy to find that the Infinity Circuit was still intact. It was there that I often retreated for my answers. I had no one to turn to when I was faced with a problem. I had no mentor to guide my steps, and worst of all, I had no way of progressing along the Witch Path. I had spent many long hours in deep meditation within the groves of the Infinity Circuit. I soon found that my petitions for guidance were heard and answered by our long-passed kin.” The eyes of the young warlock widened with wonder as she listened to the Farseer’s story. “I was trained by the spirits of our ancestors along the Witch Path, growing steadily in might and power. Along with my own training, I was given advice to the guidance of our Craftworld. I was soon able to live up to the expectations of the diminishing Ath-Ethonis Eldar. “Over time, my power grew and I was then trained in the arts of the Seer. Thanks to the wisdom of those long passed, I was able to achieve the understanding and power to become a worthy Farseer. 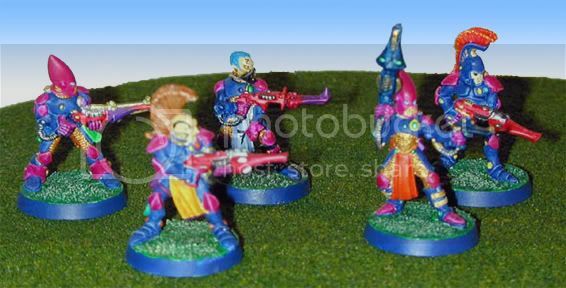 It was during this time that I realized my love for the Eldar here was deep and true. I felt as one of them. I no longer felt of myself as a warlock of Ulthwé, but rather a true Farseer for these people. I had been given the task to train new warlocks under me, passing on my own knowledge and wisdom to those coming up under me. It was with these young warlocks that I counseled with, and decided to finally rebuild our world, rather than simply limping along just to survive. My warlocks were overjoyed by my plans, and the excitement soon spread throughout all of the Craftworld. “We started with the decision to rename our home. I offered the name Lu-nasai, meaning Forgotten Moon, as a possibility. It was accepted almost instantly. I asked the spirits of the Infinity Circuit how I could train new Bonesingers, and was blessed with the knowledge to teach them. It was not long before we were able to repair our world, and hope began to blossom throughout the Craftworld. The warlocks came to me, asking to redefine our colors, to offer new respect to our new home. They asked if they could use a variation of my old home, to pay a type of tribute to the place that raised their future savior. I was deeply moved by the gesture, and humbly gave my permission. I was about to suggest that they try not to mimic Ulthwé too closely, but the thought came to me to wait and watch. So I did, and was happy to watch them design a wonderful array for Craftworld Lu-nasai. Our black and white colors, trimmed with a deep red and grey proved to be very impressive. “We were soon able to regain control of our Craftworld’s navigation systems and sang joyfully as our Forgotten Moon sailed straight and true among the stars once more.” Farseer Saanah Mangwé let her voice trail off in quiet reminiscence. The young warlock sat quietly for a while, pondering on what her mentor had shared with her. A quiet reverence came over her. “Thank you, mistress,” Elynn said, rising to her feet. The young warlock closed the large double doors behind her as she left. She took a moment to look at the relief that had been carved into the wood. A lone moon stood proud among the cold stars. Elynn smiled to herself, proud to be part of such a wonderful place. She walked down the halls of her home, Craftworld Lu-nasai, the Forgotten Moon. Saanah Mangwé is my own rendition of Eldrad. It makes no sense, story wise, to have Eldrad leading my Craftworld. Saanah Mangwé is the leader of the Lu-nasai Eldar. "Eldar: Anything you can do, they can do better." After Iyanden was nearly destroyed by the Tyranids, many of its inhabitants feared the world would not survive another assault. Among them was a Farseer, who had just been innitiated to the counsel. While most of the counsel wished to rebuild Iyanden, this Farseer, Moriath, as well as others, wished to move on. They felt that, though Iyanden was failing, that they might preserve its culture. After much argument, Moriath, along with several other Warlocks, Aspects, and even some of Iyanden's citizens, left Iyanden. Before becoming a Seer, Moriath had been a Wraithbone singer. Thus, with Prince Iryel's permission, he took a single Wraithbone seed from the Iyanden's core, and in a small fleet of ships, they travelled the webway, further into the Galaxy's "Northern" quarter. There, over several hundred years, Madeo, the Lonely Sanctuary, was created. Over the duration of its creation, Aspects and denizens from other Craftworlds joined them. This force included, but was not limited to Alaitoc, Ulthwe, and even Saim-Hann. It's namesake of "Lonely" is not because it is alone, but because it is hard to find. Because of Madeo's diversity, it was decided that no single symbol should represent Madeo. This is why there are few civilizations outside of the Eldar that even know of its existence. In the event that any of the craftworlds fall, Madeo will have chronicled its existence, and so that it may be possible to recreate it once peace returns. It's "Wraith-Library" is outmatched only by the Black Library, and its location is just as obscure. Though it is only 2/3 the size of an average craftworld, it is fitted with massive Holo-Field generators, and its many-faceted surface means that detection by radar or any scanning device is nearly imperceptible. Because of Iyandens' loathing for the Tyranids, Madeo warriors are very experienced agains them, and have fought them more often than any other army. Psychers from Ulthwe; even Eldrad has intervened on Madeo's behalf on more than one occasion. Madeo's sole purpose is to preserve the Eldar culture, and, though there are many conflicting opinions on how this may be achieved, Moriath is considered the voice of reason, taking no sides and saying only what he sees. A way has been found to reverse time, and to erase The Fall. The method itself involves the Webway and various gravity sinks, but in practice, it is still nigh impossible. By erasing The Fall, thus Madeo is erased, and the the Paradox ensues. Seers and Warlocks are reserching desperately to overcome this obstacle, but none has been found. Thus, this theoretical salvation is kept secret even from the highest Exarch. my craftworld is called jaycorax. it was founded when the imperium first came in contact with the eldar.when the brothers Jay, Co and Rax where exploring space with there craftworld and they came across a time portal that took them to the current point in the 41st millennia. now they are trying desperately to adapt to the new time period. Pulling my 6 year old Craftworld out of the infinity circuit, giving it new paint, updated lore and sticking it in a Wraith so i can fight with it again. Ever since the Fall and the birth of Slaanesh, every Eldar has lived with the fear of death. Without the spirit stone, death for an Eldar means certain oblivion at the hands of the dreaded enemy. There is but one hope for the declining race: Ynnead. 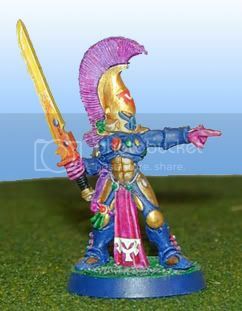 Legends foretell of the day when the soul of every Eldar has been laid into the infinity circuit and Ynnead is born to destroy Slaanesh. Craftworld Mar-Dinn has dedicated its existence to the fulfillment of this prophecy. Mar-Dinn stands for (roughly) Death Guardians. Mar-Dinn is a small Craftworld, as they go. Its population is several factors less than some of its sister worlds yet it contains as many souls as the largest of them. Since the Fall, Mar-Dinn has worked tirelessly to seek out and recover the spirit stones of any fallen Eldar that, for whatever reason, failed to make it back to a Craftworld to be placed in the infinity circuit. Many of these are in true peril of being destroyed or their powers abused while others are simply buried under ages of dust and rubble. Regardless of their location, status or the reasons of their loss, all stones must be recovered. If the stone is located on a planet in the hands of a lesser race, the forces of Mar-Dinn will strike suddenly, swiftly, with out notice and with out mercy. Mar-Dinn tactics revolve around clearing enemies from the field swiftly and distracting reinforcements long enough for the Spiritseers to recover what they came for. To this end a strong line of Wraith and Lords is used to draw enemy fire and push them back while swift and mounted Aspect Warriors strike at the enemy’s weak points. Despite a fair amount of success in achieving its goals, Mar-Dinn suffers from a lack of manpower. It does not have a population sufficient enough to sustain a prolonged engagement or take on sizable enemy forces. If desperate, it can field a substantial number of Wraiths, but it will only consider doing so as a last resort. To compound this issue most of the seers on Mar-Dinn specialize as Spiritseers, in order to tend to the large number of Wraith, and very few of these seers ever advance to become a Farseer. For this reason, many other Eldar Craftworlds have spoken of Mar-Dinn as ‘shortsighted’. Mar-Dinn has found itself in dangerous situations that were not foreseen on many occasions. The few Farseers on Mar-Dinn are severely taxed as they attempt to insure the future of their Craftworld. The standard colors are bleached bone and hawk turquoise. Aspects will follow as close to their 'natural' color scheme while still using at least one of these. Join us, we have Pi. Concept – Siyanto is the smaller sister craftworld to Iyanden, it was one of the first Craftworlds to leave the ancient Eldar empire, they followed the path of the Exodites, ending up in the far reaches of the Galaxy. History - They shut down their Webway links for centuries, avoiding all contact with their fallen kin, only communicating with Exodite worlds. After many years of tranquility, far removed from the devastation of their kin, Siyanto began to colonize suitable worlds, creating various offshoot exodite communities closely linked to Siyanto. Due to Siyanto’s small size, these communities would provide warriors in times of need, a simple version of the webway system was setup to link these worlds to Siyanto. When these warriors were not enough, Siyanto would resort to Wraith constructs. Return – Siyanto’s Seer council felt the cry for help and devastation of Iyanden during Hive Fleet Kraken’s assault. The psycic tremors where a cause for great concern for Siyanto’s council, their sister world was dying. Great debates swept the populace, as some felt they should return to aid Iyanden and maybe one day restore it, others argued that Iyanden was deserving of its fate, and aid would only lead to Siyanto’s ruin. It was decided that a small fleet would be dispatched to assess the conditions of Iyanden, and report back to Iyanto. This fleet is led by Siyanto’s Prime Farseer Cal’ya, the Autarch Ulrenth, Admiral Iyen and their accompanying council. Future - My friends and I will be playing our battles with this in mind, I intend to work the outcomes into the craftworlds fluff (including the possibility that they will never return). Primary Army Composition - Being closely link to Eldar before the fall, Exodites and Iyanden, this craftworld tends to field multiple fast vehicles, supported by Dire Avengers and Rangers. Think Saim-Hann/Iyanden with a small mix of Exodites (rangers). The primary aspect of the world is Dire Avengers, being the sister world of Iyanden. Siyanto is dead set against the utilization of Guardians. On some craftworld's the idea of Clans and Royal Houses have survived, particularly on Saim-Hann and Kaelor, and amongst the Dark Kin some Royal Houses still exist, having changed their political structure into Kabals, but for the most part on most craftworlds these ancient organizations have lost their political power and have become merely tradition, a dim link to the distant past. While Ulthwe craftworld is ruled by its prodigious Seer Council, one House still maintains clout and influence in the day to day runnings of the Craftworld. This is the House of Ulthanash, brother of the hero Eldanesh, and the namesake of the craftworld itself, for Ulthwe is merely a contraction of Ulthanash Shelwe - The Song of Ulthanash. It is upon this Craftworld that the majority of Ulthanash's descendents, retainers and followers that managed to survive the fall came to rest, and from this base they still act, subtly manipulating events around them. Ulthanash's House operates somewhat outside of the regular politics of Ulthwe, and this makes the Seer Council somewhat uneasy. The tense situation has been allayed by all members of the House of Ulthanash swearing a vow of loyalty and dedication to the craftworld and the Seer Council, and for the time being the House is allowed to operate. The House has long lost its direct link to Ulthanash, but Eldar memory is long, and the members still hold true to the ancient vows of obedience that their ancestors swore to the long-dead Eldar hero. The House is now run by its Steward, a brilliant planner and warrior named Elariac Ulthamen (Elariac, the Hand of Ulthanash). He remains true and steadfast to his ancestor's friendship to the Eldar hero, and longs for Prince Yriel of Iyanden to return to Ulthwe, both to take his rightful place as Prince Yriel of the House of Ulthanash and to return the Spear of Twilight, Ulthanash's ancestral weapon, to the original Shrine of Ulthanash on Ulthwe. The House of Ulthanash also maintains a small presence upon the Seer Council of Ulthwe. Q'sandria, the youngest of Eldrad Ulthran's proteges, can trace his ancestry back to the House of Ulthanash, and he keeps a close business relationship with Elariac, serving as a guide and seer for the House. The House of Ulthanash tempers the dogmatic mission of Biel-Tan with the wisdom of Ulthwe. They hold a rare, pragmatic view on the future of the Eldar race. They know that the only hope for the Eldar to regain their past glory is to create a new Empire, and the exodite worlds are the perfect place to begin. However, they also know that unless the fragmented Eldar population can be reunited - Eldar, Dark Eldar, Pirate and Exodite - there will never be enough Eldar to survive. For the Eldar to have any chance at survival, the link with Slaanesh must be broken, whatever the cost. The House is aware of the idea of Ynnead, but they see this as a last hope, and have thrown their luck in with the Harlequins and Cegorach. It is not known what precisely occurred, but Elariac and Q'sandria have ventured deep into the Webway, some even say to the Black Library itself, and have learned at least part of the Harlequins plan for the Eldar race. Because of their militaristic mission, the House frequently clashes with the Imperium and Orks. The House maintains a large body of standing guardians, even more so than normal for Ulthwe. This stems in part from the militaristic mission that the House holds and in Elariac's past - he has served as one of the trainers for the Black Guardians and once was a Shining Spear. The House's military might is even kept separate from that of Ulthwe's; although they must always heed the call to arms, they fight separately. Others on Ulthwe call them fickle, arrogant and aloof, but Elariac loathes the idea of the House losing its independence for fear that it would fall apart and become nothing more than a ceremonial figure. Despite this aloofness, even the House of Ulthanash must ask permission from Ulthwe for the already rare aspect warriors to be sent into battle. When the Seer Council agrees (due to the proddings of Q'sandria) only those aspect warriors who are members of the House are called to war. Consequently the House has become reliant on other means of warfare, particularly with Guardians. Vypers, War Walkers, Support Weapons and jetbikes are all common amongst the armed forces of the House of Ulthanash. The House also maintains a small, elite group of elite Wraithguard and a single Wraithlord, so ancient that none can remember the warrior insides name. 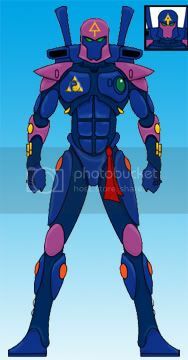 When marching to war, the Eldar of the House of Ulthanash wear the traditional black armor of Ulthwe, as they are still in lament over Ulthanash's death, but supplement the colors with royal purple and grey. Every Eldar also wears a red glove upon one of his hands, to remind his/herself of the sacrifice of Ulthanash's brother Eldanesh to Khaine. This has become symbolic to the House of Ulthanash: as Eldanesh fought Khaine to protect the Eldar race, so the House fights the Imperium to protect the Eldar race. 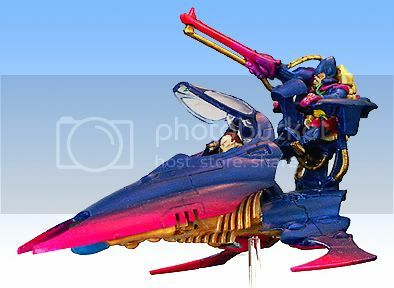 In game terms, Elariac is a jetbike autarch, Q'sandria is a Farseer. There is a 1 unit limit to every aspect except Dire Avengers, who are limited to 2 units, and there is a 2:3 ratio of aspect warriors to guardians. Wraithguard and Wraithlords may not be taken except for games of 1750 points or more. I take shining spears, but I do not use them as an 'aspect', they act as Elariac's bodyguard and retinue. They do not count into the aspect limitations (shining spears are my favorite unit, I couldn't not use them). History - Bery briefly, the Loritain craftworld was launched well before the Fall, at the height of the empire. It and its sister-ships were to create a twin to the Eldar Empire in another galaxy, to spread the might of the Eldar and to solidify their power for the return of the Ygnir. This goal failed after generations of travel, and the Craftworld was driven back by a chance encounter with the Swarm, known to the rest of the galaxy as the Tyranids. Of the several Craftworlds launched for this mission, only Loritain survived, and returning it to the borders of our galaxy cost the lives of many of its Farseers. Seeing a galaxy in chaos, the ruling house of Loritain, Houst Loritha, set about settleing a small region of space in the galactic south-east and solidifying their possition to serve as the heart of a new empire. Loritain possess equipment long since lost to the Eldar, and while the process is time consuming, are able to run a barren rock into a paradise ripe for settlement. They also posses a more comprehensive knowlege of Eldar history and technology. Relics long since forgotten fill the vast vaults of the Craftworld, and it is rumoured that they even posses the ability to create and repair branches of the Webway. However, the Path system is new to them, and the ever-present specter of Slaanesh is something that they still battle with on a daily basis. They are also unfamilair with a great deal of the weaponry that has been designed or adapted since the Fall, ranging from the simple Shuriken Catapult to the towering Titans. This has left them overly cautious to commit to battle, even by Eldar standards. Instead, they prefer to the use of active allies, and have befriended several minor species in their region who act as their eyes and ears throught the galaxy. Notably, they have taken under their wing the population of a 'tratorious' Imperial world, led by a man who opposes the imperial church and the tennants of the machine cult. While few of the inhabitants of Loritain trust these allies, particularly the humans, they have faith in their leaders and so relationships, while strained, are stable. The Craftworld its self is largely empty now, populated only by the House Guard of House Loritha, the temple priests, and the warriors of the so-called Prime-Shrines. It hangs in orbit of a large world, terraformed by the ancient and arcane devices housed within the vaults of the Craftworld, which no serves as the primary home of the Loritain population. Hourse Loritha is ruled by the young Farseer, Terical Loritha, last of his line. He is a seer of notable skill, considering his age, and he has been the key figure in Loritains quest to not only rebuild the Empire, but create a stronger one than before. He beleives this is possible by bringing other species into the fold, combining the strengths of every goodly species in the galaxy into one unstoppable force. This mentality has caused strain with the other remains of the Eldar, particularly with Biel'tan, and the conflict of philosophies is likely to come to blows. The primary focus of the Craftworld's warriors, however, is hunting down and destroying the Necrons where ever they are found. Their allies are directed towards other, more mundane targets, be they Ork, Imperial or the re-emergent swarm, while the true warriors of Loritain scour the galaxy for information and relics that can be used against the awakening star gods. Remember, you can make yourself a Hero, but only others can make you a God. Not on speaking terms with my dice. History: During the fall, craftworld Nal'Rah was consumed wholly by the newly formed eye of terror. The Eldar aboard who managed to survive the birth cries of Slaanesh were quickly set upon by warp spawn of every breed. During the slaughter, many were driven to madness. During the final hours of the stricken craftworld, only 11 Eldar were still alive; and each could be heard laughing hysterically as they gleefully slaughtered demons within the gore-painted passages of the craftworld. Despite their insanity, they had an agenda; bring turmoil to the demons who would kill them by trapping the demon's souls within modified soulstones and the craftworld's infinity circuit thereby permanently separating them from the chaos of the warp. The now rent and tainted infinity circuit exploded destroying what was left of craftworld Nal'Rah. These 11 Eldar later awoke to find themselves within the confines of an ancient craftworld devoid of life save themselves. 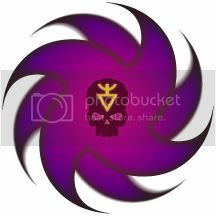 The group then found the infinity circuit of the ship, a blackened twisted husk with a very dull white light pulsing in its depths. One of the group attempted to commune with the massive orb and was immediately reduced to ashes; shortly after, various systems aboard the floating city began to come online. Years passed as the survivors reactivated long dormant subsystems in hopes of leaving the craftworld. Eventually, one of the webway portals flickered to life and the group pass through to find themselves upon an exodite world closely guarded by Eldar of the craftworld Il-Kaithe. The survivors told leaders of the settlements of their finding and its purpose. Many joined their cause, including supporters from Il-Kaithe. With a force at their disposal the survivors now actively seek chaos, trapping and feeding chaos souls to the blackened heart of the craftworld. Colors: Dark blue plates and black under armor. Guardians have brown helms, brown shoulderpads and bisected black/white masks. Exarches have white shoulderpads and black/white bisected masks and helmets. HQ units have black/white bisected helmets and masks with white shoulderpads, splashes of red on cloth items, and purple chaos runes etched into helmets/flags/cloth hems/vehicle plating. Yellow soulstones on gear. Typical battle strategy: Provide extremely heavy ranged support to cover storm guardians and warlocks responsible for capturing souls. For me: 16.667% chance of failure equates to a 83.334% failure rate. Ork. The C’tan (Necrons) and Chaos forces are hunted constantly by these Eldar. The Tyranid are killed on sight, but the Eldar of Saim-ceash have had an episode with a hive fleet in deep space that makes them wary. It was Light-years east of the southern Exodite worlds and long after the fall. Siam-ceash ran into what they called the Great Hive Fleet. It is thought this fleet consisted of both Kraken and Behemoth before the Eldar violently ripped them in two. The battle started by happenstance Saim-ceash opened fire with all its Blackstone’s and the full power of the Citadel. Yet they still had to resort to the Cobra-god cannon firing four cycles. This virtually tore the hive fleet in half thus allowing the Eldar to escape with few losses. They now believe this action is what doomed Iyanden. In order to make amen’s for this Siam-ceash have evacuated the southern Exodites. They are currently fortifying the northern Exodite worlds with refugees from the south who were willing to leave their own home worlds. The Exodites of the south trusted the Eldar of Saim-ceash after all Saim-ceash populated these worlds. They have started providing the Exodites with technology to aid in their defenses in addition to the dragon knights. The current policy of Saim-ceash is to stay in this part of space for some time in hopes of growing population on the great craft world, the Exodite worlds, and the maiden worlds within a few hundred light-years from this sector of space. They also wish to share technologies with the other Eldar. In hopes the others may have developed advancements in the many thousands of years since Saim-ceash departed from the old home world. However they are kept a secret from most other craftworlds and only make contact through the Harlequins networking or the occasional visit by Exodites. Saim-ceash is the only craftworld who allow the outcasts to base on their vessel. Simply due to its tremendous size the outsiders are never in contact with the general population. They would also never corrupt the infinity circuit of this craft world located within the Citadel. The colors carried into battle by Saim-ceash are forest green and golden yellow. The army also incorporated a scarlet red into the color of their firearms not used buy the rest of the craftworld. The standing army of Idan-sistannaash is the largest known of any craftworlds. It is supported by the largest population of Eldar known to be left after the fall. All of the Phoenix lords have been told of the craftworld and so Saim-ceash has built shrines in their honor. They have also learned from the Harlequins some of the more rare aspects of the new warrior style. Saim-ceash also possess tens of thousands of the ever guard aspect warriors from the old world. This craftworld does not favor any one style of warfare they incorporate what is thought to work best for the situation. They have the most warlocks of all craftworlds and are guided by a force of many Farseers who do not go to battle unless the situation becomes dire. Their leader is the Master Farseer and he does not make a decision except when the great seer council is summon. There is no political system on Saim-ceash such things are thought to be corruptible. At a very young age an Eldar from this world is probed by a warlock or seer to see the very traits that make up the individuals character. It is then decided the path for that Eldar to follow for the rest of their life. No time need be wasted trying to turn a seer into a warrior or builder into an artist. They will be taught only what they are best attuned to understanding and so guaranteeing their success in mastering life. An Elder is normally driven to the arts so one might think this system would leave a void of those who would be warriors. In contrary however due to the great hatred of Chaos and some of the invasive races like Ork and Tyranid, finding Eldar tuned to aggression is very common here. Idan-sistannaash believes that through the use of their vastly superior technology and concerted efforts to grow the population without unnecessary bloodshed. Saim-ceash and the Eldar race will once again rule the stars. I have over 18,000 pts of Eldar so this fluff fits my army ( not counting my rouge trader Eldar that look terrible by today's standards ). I can field any force type I need ( also good for apocalypse ) although I do not have a forge world or armor cast unit. The stars themselves once lived and died at our command, yet you still dare to oppose our will. Mate, you lost 50% of your intended audience immediately after they saw a big ol'wall of text without formatting. Please use paragraphs to break up the material. The content itself seems a little much as well. A craftworld with four Blackstones and another star destroying weapon? I'd tone it down a few orders of magnitude so that you're not overshadowing all the other craftworlds like a Galactus sized mary sue. Alarm klaxons shrilled, startling Captain/Seer Alaran Nightshade out of his reverie and communion with the spirits of his parents. With a fleeting touch of love and pride, their presences slipped back into the ship's Infinity Circuit. The young merchant-prince swept his over-robe behind his legs and double-timed down the wraithbone-ribbed halls of his clan's Craftworld toward the bridge. Stopping outside the doors to his command center, Captain Nightshade blessed the ascetic lifestyle that had kept him in such good shape that it was but the work of a Mon-Keigh's eyeblink to gather his dignity and bearing before entering. Seated in his Captain's Chair, Alaran placed his palm on the wraithbone inductor pad and projected his query into the mind of his Master of Arms, T'rissana Neldona. Her answer of rioting at the docks had him out of his chair and running along the corridors before his grim Ship's Gunner Caldyn Ronnar could pipe him off the bridge. Arriving at the main loading bay, the first thing he saw was the bone-white armour and flaming red hair of his Armsmistress. The young Seer froze in the midst of trying vainly to get T'rissana's attention over the cries of the rioters, as he could see flames shooting over the rooftops of the city's mercantile warehouses at the edge of the spaceport. "The world burns!" he whispered, just now understanding the visions of a great hole opening in the heart of Eldar Homespace he had been plagued with lately, waking or sleeping. Slapping his bare hand on an exposed Wraithbone rib Lord Seer-Captain Alaran Nightshade gathered his will and sent his voice ringing through the minds of all in the docks. "SILENCE!" he 'roared'. "Our world burns, and none of you did anything about it! I will not have layabouts and parasites on my ship! If you would be saved, grab cargo and become useful. Put aside your petty games and maneuverings for status, your despotism and your decadence. Swear yourselves to me and my line, to a new Way, and I will take you aboard. Step out of line, though, and you'll be walking home through the Void!" With a glad cheer, many willingly grabbed crates and boxes and rushed aboard the trading vessel. Some of the others slunk quietly away, not willing to stoop to labor even to save themselves. The strongest of will leapt toward the neural hoods that allowed interface with the wraithbone stevedore robots, and even the heavy loader-bots had a few operators. Those less willful strapped into the superheavy load exosuits and started loading crates of vehicle parts. T'rissana shook her head in fascinated bemusement as she looked at her Captain and lover. "How do you do it, Cherital? Embarrassed, Alaran shrugged gracefully. "Have you seen?" he asked her, "The city burns, as I have seen in my dreams. I do not know if we'll be in time to escape." Sobered, the Armsmistress laid her elegant hand on his arm, so gentle in love, so strong around her trill's hilt in war. "We'll make it, Cherital. You've been preparing for this for years. Have faith in yourself. I do!" With that, the last of the refugees boarded. As the massive doors closed on the now-full cargo bay, a great growl of sound vibrated the very hull of the great Craftworld. Alaran and T'rissana glanced at each other, and as one abandoned dignity and decorum and ran to the bridge. Strapping himself into his command chair, Captain Nightshade barked his orders. "Release grounding tethers! Cast off planetary power lines! Blow the emergency disconnects for the refueling nodes! Get us aloft, Mister Sarelias, NOW!" Pilot Tathnar Sarelias's long fingers danced over the inductor keys of his control board, disengaging the cables and tubes imprisoning the graceful vessel. Resplendent in his traditional white and blue uniform, he grinned to himself as "his" ship floated up, free once more. Reveling in the feel of the superbly crafted vehicle responding to his touch as ardently as a lover, he nearly missed his Captain's next, startling command. "Prepare to engage psychic sails, Mister Sarelias! Mister Araneae, prepare to open the Ship's Gate!" "In the gravity well?" Tathnar's startled voice cut across the bridge as the webgate engineer Jarzen Araneae quietly used his neuro-manipulator belt's right hand to sign acknowledgement of the Captain's order while his other three hands flew across the panel in front of him. "Do you have a problem understanding my orders, Pilot?" Alaran's voice, dangerously quiet, still rang out in the sudden silence. "N-no, Lord Captain," Tathnar stammered, "it's just that I don't know what the planet's gravity will do to the sails when combined with the Shipgate!" The Captain activated the external sound and video sensors, linking them to the bridge's main holo-tank. A dull roar filled the room as the image of the city below, burning with unnatural flames, filled the display. "Look, all of you!" Alaran shouted. "Look what we, as a race, have done!" He touched other pads, splitting the display into hundreds of subscreens, the entirety of the Eldar Homeworlds appearing as seen from orbital platforms. "Our Homespace burns! We have destroyed ourselves! Look well, and remember. This is what we must avoid for all future time! We MUST NOT do this to ourselves, ever again. Look, all of you, upon our works, we mighty Eldar, and despair." "Ship's Gate ready, Captain." The engineer's voice quietly announced into the stunned silence. "Thank you, Mister Araneae," Alaran replied, once more in control. "Mister Sarelias?" "Psychic sails...deployed, Captain." "Excellent. On my mark, Mister Araneae. Ready...steady..."
Before the command could be given, the sound from outside cut off for a nano-instant, then came back with a vengeance. A psycho-physical scream rocked the vessel, blasting it through a hole in reality, tumbling out of control into the webway. A scream of pain, fury and despair; the Death-Cry of a race, the Birth-Cry of a God; Slaanesh, She who Thirsts, is come. Alarm klaxons shrilled, startling Captain/Lord FarSeer Alaran Nightshade out of his reverie and communion with the spirits of his parents. With a fleeting touch of love and pride, their presences slipped back into the ship's Infinity Circuit. The mature Seer released the crystallised hands of his parents and turned to T'rissana, as always garbed in her ancient bone-white armour and with her mask already in place, her Executioner at her back. Taking his Ghosthelm from her, he looked beyond his one-time lover to his former crew, all respectfully awaiting his preparations. Slinging his Tempest Launcher, Caldyn bowed and handed Alaran his ancestral Witchblade as Tathnar, now an Exarch of the Shining Spears, belted the Captain's Shuriken Pistol holster on him. Jarzen appeared with a crackle of warp energy to hand over Nightshade's Spellrunes and wraithbone armour, which T'rissana efficiently strapped on him. As energy enlivened them, the spellrunes began to glow and circle Alaran under their own power. T'rissana was given the honour of beginning the chant, but even as it began, Farseer Nightshade wondered -fleetingly- how much of his friends were left inside their traditional, beyond-ancient Exarch armour. Then the chant took him too, and he let the thought slip. Craftworld Men-Ran'Zen was called to war. Blood runs, Anger rises, Death wakes, War calls! Men-Ran'Zen Eldar are characterized by their night-dark skin and bleached-out hair, caused by the radiation of a rogue star the Craftworld passed too close to during the endless-seeming tumble caused by the Fall. The rads destroyed the pigment in hair and eyes, and darkened skin tones to a nearly uniform glossy ebony, and did so on a cellular level: even the DNA was altered. This has caused Men-Ran'Zen to be referred to as "Raibh partente na rillie yirraith", or "Night skin and glittering eye". The denizens of the vessel wear this title with pride, as they see it as a mark of survival. As far as location, Men-Ran'Zen is currently in orbit around the exodite world Tirithain, in the Segmentum Ultima, near the Segmentum Tempestus border. Her closest Eldar neighbor is Biel-Tan, with Alaitoc also within (comparatively) easy travel. As Men-Ran'Zen was originally a trading vessel, Farseer Nightshade is perhaps more concerned with the modern age than some of his peers. The return of the Eldar to dominion over the galaxy is something to of course be desired, but since long-term plans like that are in the capable hands of others, he prefers to work toward the near future. Repair and resuppy of his own ship is the first goal, and the best way to do that is to trade with the planet and the other two hapless ships stuck orbiting it: a Space Marine Battle Barge, damaged and nearly non-functional due to 10k years in the Eye of Terror and the Maelstrom, and a Sister of Battle convent-ship commanded by a radical Inquisitor. A splinter group of the Dark Kin has a pirate base on a nearby moon, and Alaran has worked out a mutually-beneficial agreement: The raiders don't operate in this quadrant (or against Eldar), and Men-Ran'Zen will fence the goods captured in the raids. Socially, Men-Ran'Zen welcomes refugees from other worlds and Craftworlds, as long as they do their share. If said refugees want to live dirtside, there's a shuttle every 12 Standard Hours. Likewise, if the Exodites from downstairs want to see the universe, they can use the warpgate to Biel-Tan or Alaitoc to take the first steps on the Path of the Outcast. Traditionally, the Rangers and Harlequins get a lot of recruits from this sector, between Alaitoc and Men-Ran'Zen. As far as the Warrior Path, there are several shrines of each Aspect except for the Warp Spiders and the Shining Spears, both of which have only one. As Biel-Tan is so close, several of the Phoenix Lords pass through, as do many Harlequins and Pathfinders. With all these skilled combatants within calling distance, the necessity of Guardians answering the call of Khaine is lessened, so a Men-Ran'Zen army usually consists of several Pathfinders, several Aspect Warriors, a troupe of Harlequins and (taking a page from Iyanden) a number of Wraithlords and Wraithguard. Vehicles are not hard to come by, as just recently the Craftworld's own scouts found a cache of wraithbone hulls and shells, probably left by the first of Tirathain's Exodites after landing. How to best see a Mon-Keigh? In the sights of my LongRifle! Hello all. This post is to try and hammer out a few ideas about starting my own Craftworld. First off, I would like to say that I've thought about the early beginnings of a unique Eldar population of my own making and would like some input from the community on what I've come up with so far. I first started with the idea that I wanted to run an Ulthwé army, but... that just seemed too.... boring. I like the paint scheme, their grim determination, and the fact they have "Seer Councils" ...but want to take it a bit further. My local LGS's opinion (at the time) on Ulthwé was grim at best... despite the fact that several Eldar players ran that Craftworld. So... I wanted to go in a different direction. I have since moved halfway across the country and my new (very small) LGS has only one Eldar player.... which runs Ulthwé. That only solidified the fact I want to run an Eldar army of my own creation. Whilst keeping the basic colors (black/bone) of the Ulthwé, I have put a little spin on them; using blue and black washes for Dire Avengers; black with red washes for Fire Dragons, etc., I want to further delineate my craftworld from it's parent world. Next, after reading the excellent article on this forum Design Your Own Craftworld! : Submitted By Gutstikk. (I'm still a "noob" so I won't even bother with trying to post a link)... I started to think more in specifics about my new Craftworld. Firstly... a significant deviation that I came up with was that my craftworld was, obviously, a splinter of the Ulthwé world, but the Farseers of my world broke from their parent world because they wished to limit the mass death and destruction that would be wrought by the forthcoming "Fall". So, they sadly left their brethren and set out on their own. At first it was a sizable fleet of Wraithbone ships that was later sung into the craftworld itself. Their new Path and purpose was not necessarily to ward off the emerging forces of Chaos... instead they would take on a more personal mission. They would become the Fiach'anam, or "Soul Guardians". They would scour the battlefields of the 41st Millennium, collecting the spirit stones of their brethren... left behind in the chaos of battle. Also, they would work closely with the Corsairs and other "space-fearing, web-savy" factions in acquiring new spirit stones from the Crone Worlds... in times of great need. Well... that's about as far as I've gotten lol. The name was a mere hodge-podge of the Scottish Gaelic for "soul" and "raven". I first hit on a name when I was searching for mythology surrounding the "ferrying of the soul" from Life to Death, and back again... as many crows/ravens seem to do. I first came upon the Finnish word sielulintu meaning "soul bird", which protected the soul from being lost on the path of dreams. This was a fantastic idea!! (and I would LOVE to learn more about this myth... well, more than "wikis" can provide lol) But, it really didn't sound right... so the search continued. Next I came upon the Irisn myth of Babd Catha the "battle crow"... while closer to what I would perceived as Eldar sounding... it wasn't close enough in philosophy. So... after several other searches, I settled on the independent words for "raven" and "soul" in Scottish Gaelic; coming up with Fiach'aman. The apostrophe was added to be more... Eldar-ish . The mythology of ravens/crows fit with my planned color scheme (black/bone) and equally fit in with the "mission" of my Eldar to seek out and recover lost Waystones, and integrate them back into the Wraithbone cores at the hearts of the communities from whence they came. Well, I've rambled on enough... opinions? Thoughts?